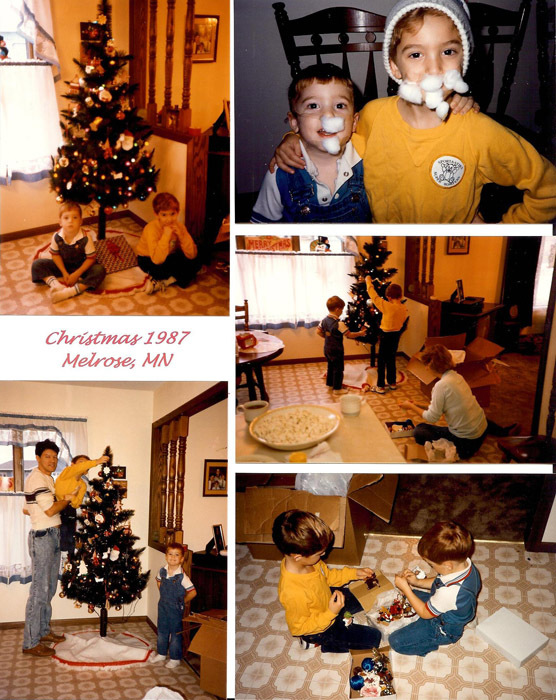 Christmastime is wonderful for little children – decorating the tree, taping on cotton ball Santa beards, posing for photos and telling Santa what you want for Christmas; it’s magical. However, as parents, we know there is a lot that can go wrong. What if every store from Ohio to Minnesota sold out of the only item on one child’s list, and the other child has a list a mile long! What if the budget meets their needs, but their wants far outweigh those needs? As parents we must decide how best to handle these situations, so that everyone feels loved and happy on Christmas morning. I recall this story because just last week, God gave me a gift I didn’t even know I wanted; a gift I didn’t know I needed. A friend asked me if I could come over and help her pack dishes. Like most of us when presented with such an opportunity I jumped at the chance. Not. Who enjoys packing and moving? Who enjoys helping others pack and move – talk about an inconvenience! Did I need this? Did I want it? I could have found a hundred things to do rather than help pack dishes. I could have plucked my eyebrows, scheduled a root canal, cleaned the toilets, pulled weeds or watched TV. However, I love this friend, and she is in the middle of a move, so I set my convenience aside (something she has done umpteen times for me) and went over to help her pack. It turned out to be the sweetest evening! I got to hear the wonderful story about her mom’s china and what it meant to her. And I talked way more than I should have about my childhood and family. My friend listened sweetly. By the end of the evening, I realized how much I needed to spend time with a girlfriend chatting about stuff – nothing important, just stuff – while we wrapped dishes. I didn’t want the evening to end. Then I started wondering… how many gifts has God given me that I didn’t even know I wanted? How much more does God know my personality than I do? How often does God see, or hear, my list and think, “She simply does not need that, now or ever!” How frequently does God give me things I never knew I needed? God is not Santa Claus, and he is more than a good parent who gives his children good gifts – God is the ultimate Father who always gives the best gifts. God continually gives gifts that we have no idea we want or need until we receive them. He gives the gift of conviction so that we confess and repent of our sins. He gives the gift of forgiveness and reconciliation. He gives the gift of salvation. God knows our personality better than we know it ourselves. He knows who we are, and who we will become. He knows when to say “No.” and still see to it that we are loved and well cared for. He never makes mistakes. Last week, I set aside a lazy evening, indulged in a little inconvenience, and was blessed immensely. That caused me to wonder, how many gifts have I forfeited because I didn’t want to be inconvenienced? How many gifts have I sacrificed on the altar of comfort? Is serving God’s people not worth a bit of inconvenience even if there is no reward? God knows what you need. He lavishes his love on you. He meets all your needs. And he will give you gifts you never even knew you wanted. Are you open to receive them? Will you look for them? How will you show your gratitude to the God who loves you this much? The Lord knows what gifts to give us. so very true… I have benefitted repeatedly through the years! That’s why I think 20% of the congregation routinely volunteer (because they know the secret that you can’t out give God). If everyone realized how God blesses us for being a blessing to others, there would never be a shortage of volunteers.